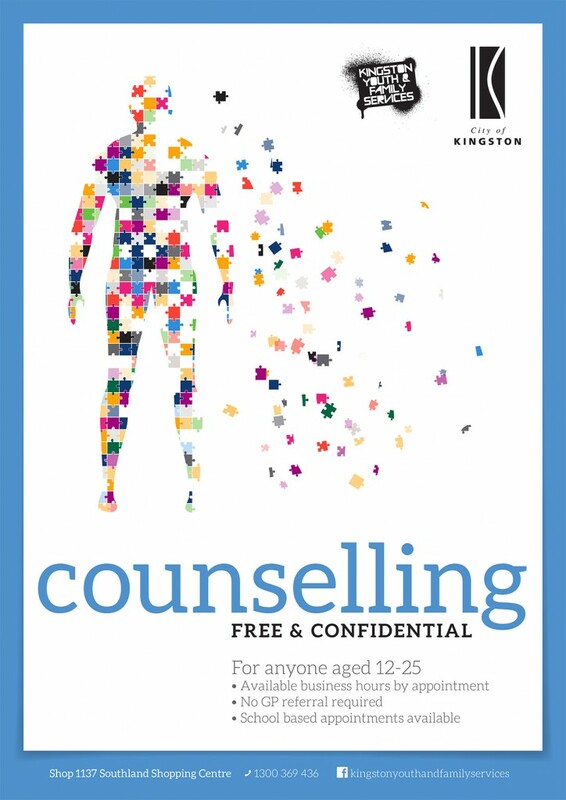 Kingston Youth Services offers individual support services for young people aged 12-25 who have a connection to the City of Kingston. This support includes both Youth Work and Counselling. Our Youth Workers work alongside young people to support them with problem solving, advocacy, linking to other services, empowerment, decision making, practical assistance, negotiating relationships and communication. We aim to ensure the interest of the young person we are working with comes first. We work with young people to improve and support them in their relationships with their family, the community and society. We play a facilitation role with young people not viewing them as passive recipients of service. This includes advocacy to influence decisions by others that impact young people’s lives as well as advocacy and facilitation of empowerment, independence and participation. We connect young people to others around them (family, community, peer groups, society). We aim to protect and facilitate the rights of young people. Youth Work: 3 – 6 months. Following the safe minds system of care map (Vic) we work with young people who fall into Tier 1. As we are often the first place young people turn to for help – we provide first line response. Severity: Intermittent pattern of distress in specific settings. Impact: Some impact to functioning but managing well. Risk of Harm: Fleeting thoughts of self-harm or aggression. Experimentation with illicit drugs or alcohol. Risk Factors: None to a few significant risk factors that sometimes negatively influence functioning / cause emotional distress. Psychological counselling styles are varied and depend on the therapist’s approach and skills as well as on the needs of the client. Our Youth Counsellors provide psychological counselling aimed at reducing emotional distress and strategies to cope with life’s problems. Counsellors will spend time in the first few sessions getting to know the client and the difficulties they are facing. The Counsellor with the young person will come up with therapeutic goals and the approach that is best suited to their needs and preferences. You may wish to refer a young person to our counselling service when they are having difficulties functioning. This can include physical, mental, social, relational or emotionally. Other reasons you may wish to refer to us is if a young person have signs of possible mental illness. Should you have any questions please contact the duty worker on 1300 369 436.